Valentine’s Day is quickly approaching in a few short days! In the past years, my husband always made a romantic dinner reservation in Newport, which is about 20 minutes from my house. While I love our past traditions of walking around Newport and enjoying dinner and the sites on the off-season, this year, we plan to do something different. This will be our last Valentine’s Day as a family of four. In a few short months, we will welcome another baby, so I want to make sure this Feb 14 is special for everyone in our family. We decided that we were going to sit home, cook a meal together, and watch a fun family movie. After all, that is the true meaning of love in my opinion. I also decided since I was saving money on going out for a fancy meal, I would use that money to buy gifts for my entire family at Kohl’s. At the Kohl’s Valentine’s Day Gift Shop, you can pick up gifts for the whole family, kitchenware for baking, and décor for your home. This February, Kohl’s and Kohls.com can be a one-stop-shop for your Valentine’s Day needs! I decided I was going to check out the Kohl’s Valentine’s Day Gift shop online and then make a list of what I was planning to buy in the store for my family. If I had a plan of what I wanted to buy in advance, it would make it a breeze to head to Kohl’s and do my shopping in no time at all. Kohl’s Valentine’s Day Gift Shop makes it easy to shop for her, him, gifts for kids/babies, and gifts for home. I can do all my Valentine’s Day shopping at Kohl’s quickly and efficiently! The first person on my list is obviously my dear husband. He is the rock of my family, and I wanted to make sure he felt special this Valentine’s Day. After looking at the gift shop, I know some items that I definitely want to put on my list! 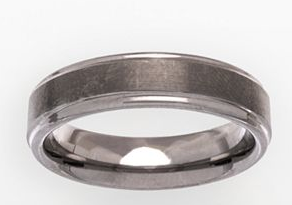 First is the Cherish Always Tungsten Carbide Wedding Band. Believe it or not, my husband lost his wedding band day one of our honeymoon and we never replaced it. I wanted to buy him an affordable, functional, and unique wedding band and I think I found it with this band. Nothing says the gift of love than a wedding band, right?! Next, I would love to get him the Club Champ Golf Truck Locker. He is an avid golfer but he always seems to run out of space to put things. 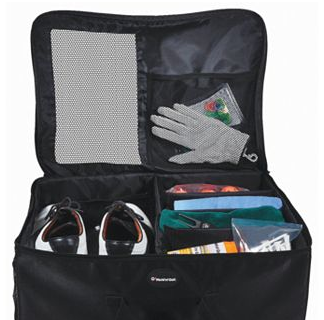 With this organizer, he will be able to put his golf test to the game without worrying where anything else. Along, with the golf theme, the Club Champ Expand-a-Green Golfer’s Modular Putting System looks like something he would really enjoy! He can practice his golf moves right in the confines of our home or his office. Now that I have some items for him, next up is to shop for Hayley and Zane. For Hayley, I have this shirt on my list from Carter’s. Hayley is such a Daddy’s girl, that both her and her dad, would thoroughly enjoy this shirt! She would also love Hello Kitty Pajamas. What 5 year old is not a huge fan of Hello Kitty? 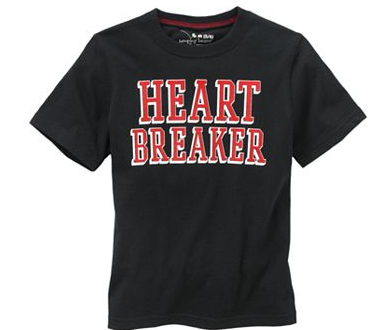 For Zane, I plan to get him this Heartbreaker shirt because he is a heartbreaker! Now that I have something for everyone on my list, I decided to take a peek and see what I wanted. I know my husband reads my posts so hopefully when he reads this one, he can jot down my gift idea. Okay, I know it is a big one but I want diamond studs. I know it is a big gift but I deserve it (or at least think I do). Be sure to check out Kohl’s online and their stores across the country for their great Valentine’s Day Gift Shop ideas. You can get something for everyone this Valentine’s Day at Kohl’s, with prices that you can’t be beat!! Also, join us for a great #LoveKohls Twitter Party Thursday, February 13th from 1:00-2:00PM EST. Be sure to follow the @Kohls handle and join in on the fun on 2/13! Hopefully your husband remembers to read your post tonight. 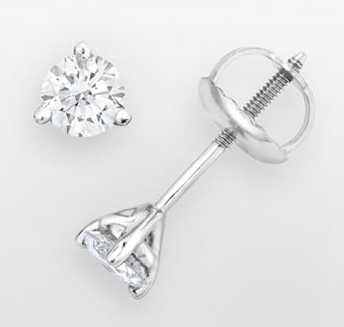 Diamond studs would make a fantastic Valentine’s Day gift. Love the pajamas you picked out for Haley. I think they will put a huge smile on her face. What fun Valentine’s Day options. They always have such cute things. I absolutely love Kohl’s! They seriously have some amazing items for Valentine’s Day! I really want to go do some clothes shopping for my kids. Looks like some good products!! Those earrings are so pretty! These are all great gifts. I love shopping at Kohl’s! I’ve never shopped at Kohl’s before. It looks like they have some great stuff. 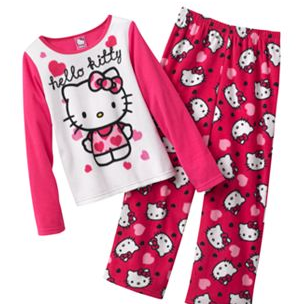 My granddaughter would love the Hello Kitty PJ’s. WOW, I have to head to Kohl’s to do some shopping. What great stuff they have. Kohl’s is AWESOME. Seriously one of our favorite stores. And your list just made me want to take a trip soon!! nice selection, I love their deals! I love shopping at Kohls! They have so many great Valentine’s Day options. I love shopping for gifts for valentine’s Day! I’ll have to check out Kohl’s, we have one near us! I love to shop at Kohl’s. They always have awesome sales and clearance and I can never get enough of the Kohl’s Cash! 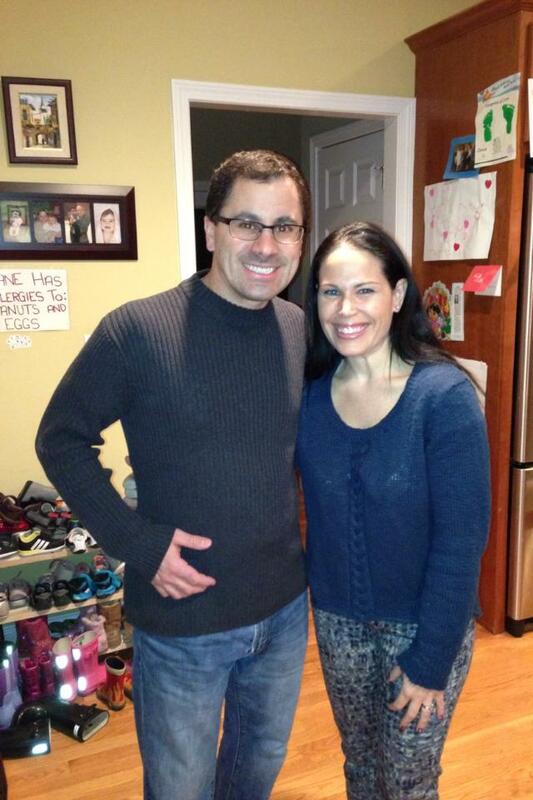 my brother tom has lost 5 wedding rings. FIVE. they just slide off his fingers 🙁 so they get him the cheap $20 specials now. I love Kohls, they are so awesome and always have everything I’m looking for. These are some great Valentine’s Day gifts, too. I love the earrings you picked out! So cute. 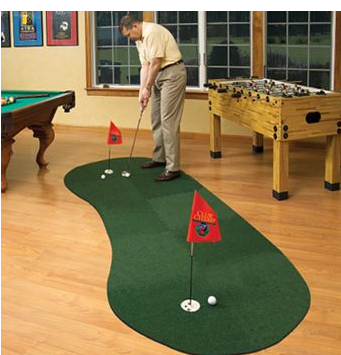 That golf putting green is so fun! I don’t have a clue where I would put it, but hubby would totally love it! they have so much variety. i can go there for one thing and end up buying like 10 more. they always have great deals too. We love, love Kohl’s. I shop there more than any other store because of the wide range of items (like you showcased) and the great prices. Definitely a good stop for Valentine’s Day gifts!